The instrumental PSF is a combination of many factors that are generally difficult to model. Anderson and King (2000; PASP 112, 1360) showed that accurate stellar photometry and astrometry can be derived by modeling the net PSF, which they call the effective PSF (ePSF). 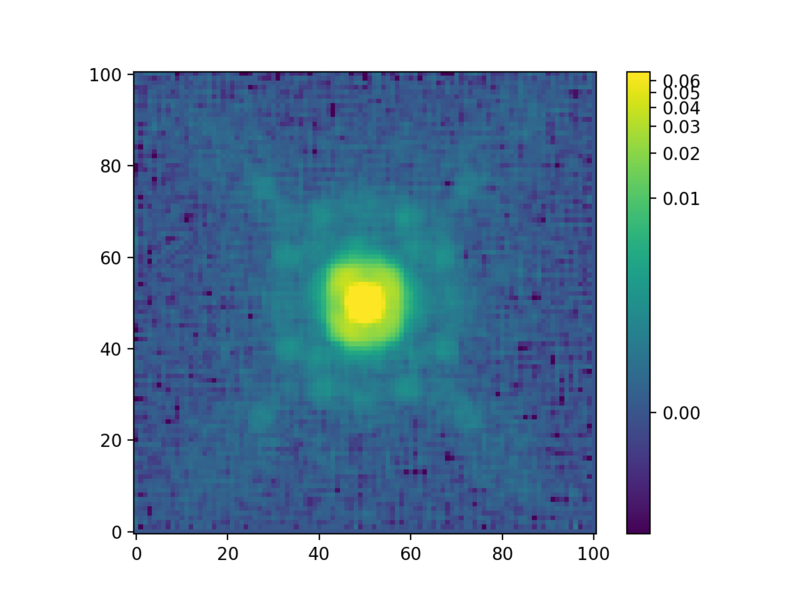 The ePSF is an empirical model describing what fraction of a star’s light will land in a particular pixel. The constructed ePSF is typically oversampled with respect to the detector pixels. Photutils provides tools for building an ePSF following the prescription of Anderson and King (2000; PASP 112, 1360) The process involves iterating between the ePSF itself and the stars used to build it. To begin, we must first define a sample of stars used to build the ePSF. Ideally these stars should be bright (high S/N) and isolated to prevent contamination from nearby stars. 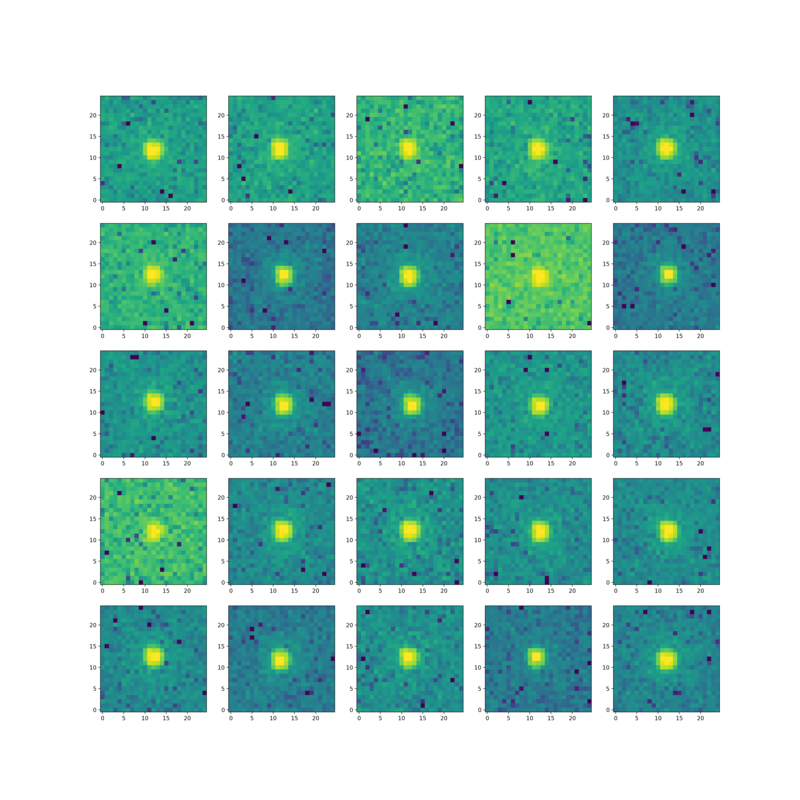 One may use the star-finding tools in Photutils (e.g. DAOStarFinder or IRAFStarFinder) to identify an initial sample of stars. However, the step of creating a good sample of stars will also likely require visual inspection and manual selection to ensure stars are sufficiently isolated and of good quality (e.g. no cosmic rays, detector artifacts, etc.). 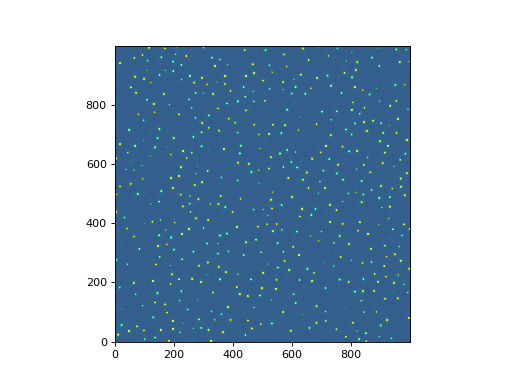 Note that the stars are sufficiently separated in the simulated image that we do not need to exclude any stars due to crowding. In practice this step will require some manual inspection and selection. The star cutouts from which we build the ePSF must have the background subtracted. Here we’ll use the sigma-clipped median value as the background level. If the background in the image varies across the image, one should use more sophisticated methods (e.g. Background2D). We are now ready to create our star cutouts using the extract_stars() function. For this simple example we are extracting stars from a single image using a single catalog. The extract_stars() can also extract stars from multiple images using a separate catalog for each image or a single catalog. When using a single catalog, the star positions must be in sky coordinates (as SkyCoord objects) and the NDData objects must contain valid WCS objects. In the case of using multiple images (i.e. dithered images) and a single catalog, the same physical star will be “linked” across images, meaning it will be constrained to have the same sky coordinate in each input image. With the star cutouts in hand, we are ready to construct the ePSF with the EPSFBuilder class. We’ll create an ePSF with an oversampling factor of 4.0. Here we limit the maximum number of iterations to 3 (to limit it’s run time), but in practice one should use about 10 or more iterations. The EPSFBuilder class has many other options to control the ePSF build process, including changing the centering function, the smoothing kernel, and the centering accuracy. Please see the EPSFBuilder documentation for further details. The returned values are the ePSF, as an EPSFModel object, and our input stars fitted with the constructed ePSF, as a new EPSFStars object with fitted star positions and fluxes. The EPSFModel object is a subclass of FittableImageModel, thus it can be used as a the PSF model for the PSF-fitting machinery in Photutils (i.e. BasicPSFPhotometry, IterativelySubtractedPSFPhotometry, or DAOPhotPSFPhotometry).